Stanford University Press, 9780804731638, 268pp. The Byzantine Empire was almost always ready to fight, and often fought for its life. During much of its history its provinces were military districts called themes, and acclamation by the army, not coronation or inheritance, was what made a man emperor. The army overthrew twenty-odd rulers, and tried to oust many more. It was large and expansive but on the whole it served its purpose well. Over eight centuries, despite losing a surprising number of battles, the army succeeded in preserving both itself and Byzantium. In view of its importance in Byzantine history, it is surprising that this volume is the first general book on the Byzantine army in any language. 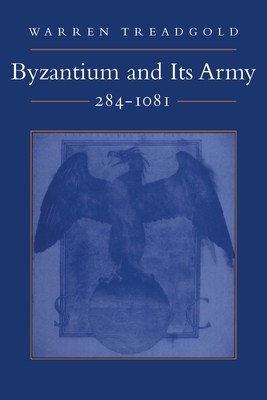 The author traces the army's impact on the Byzantine state and society from the army's reorganization under Diocletian (284-305) until its disintegration in the aftermath of the battle of Manzikert (1071). He suggests solutions to some major unresolved questions of Byzantine military history: how big was the army, how was it organized, how much of it was cavalry, how much was it paid, how was it supplied, when and why did it receive land grants in the themes, and why, after surviving so many disasters, did it fail to survive the not particularly disastrous eleventh century? Warren Treadgold is Professor of History at Florida International University.